I haven't posted a recipe in a long, long time. Long time. We're still baking and cooking. We have to eat. Lately we've been doing the foods that go along with our Road Trip USA curriculum. We had hamburgers for CT (although we did bison burgers) and last night we had crabcakes for DE. Yum. 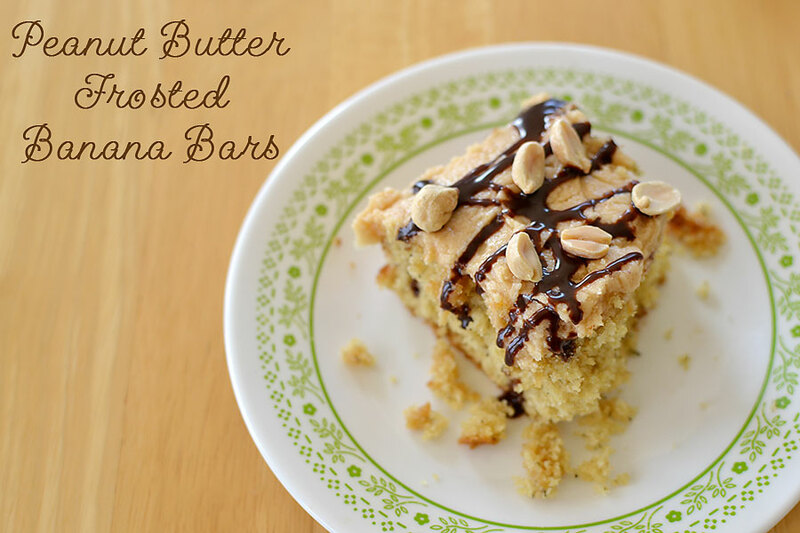 And yesterday we also made Peanut Butter Frosted Banana Bars. We actually had 2 ripe bananas and we didn't freeze them for banana ice cream. Unreal. 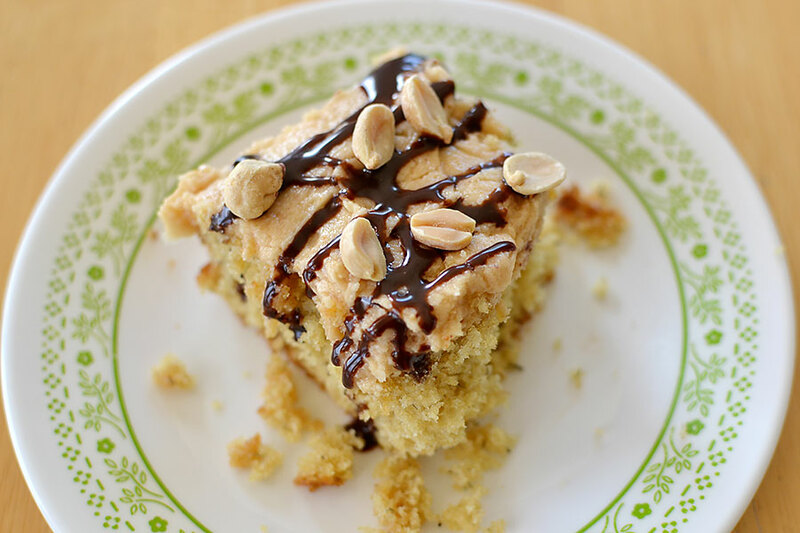 So...we give you Peanut Butter Frosted Banana Bars. A yummy treat. And even though my tummy doesn't like peanuts...I can handle a little bit of this. 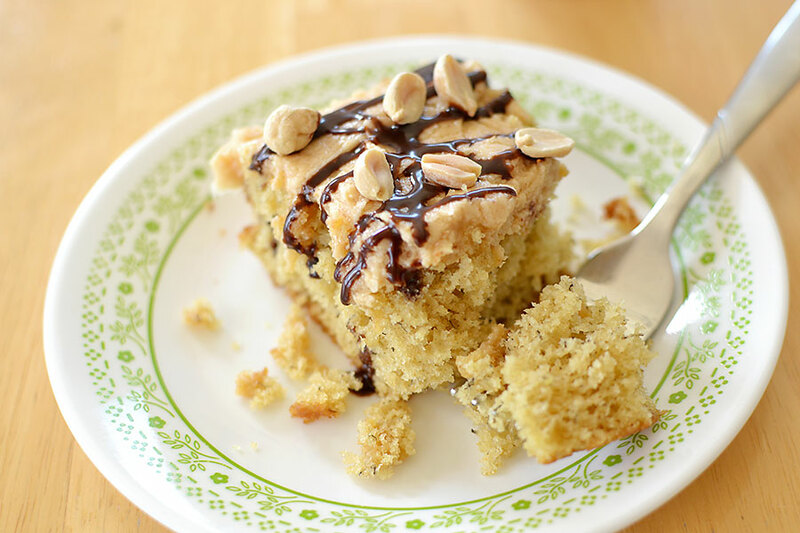 You can even add a handful of chocolate chips to the batter. We didn't this time. But it's super good with chocolate chips. We just drizzled ours with chocolate syrup and topped with a few peanuts. It's even good plain, without all the toppings. Or with just the bars and frosting. Heck...even the frosting is just yummy to eat. You could even add nuts to the batter, if you like nuts. I'd prefer the chocolate chips. Or plain. You know, it's really hard to get shots of food when you just want to eat. Especially when you have children sitting at the table eating their treat. Mom....we are loving the dishes!! Thanks! What treats will you be eating this weekend? 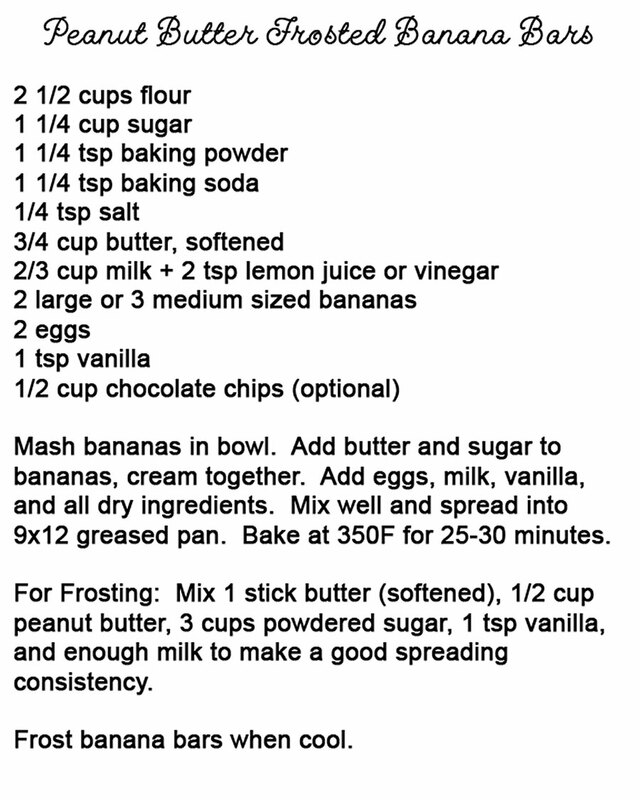 We'll be finishing off this pan of banana bars. And getting sticky with some smores. Hi Shelby, Too funny! And we're having blueberry muffins for Maine this morning for breakfast! 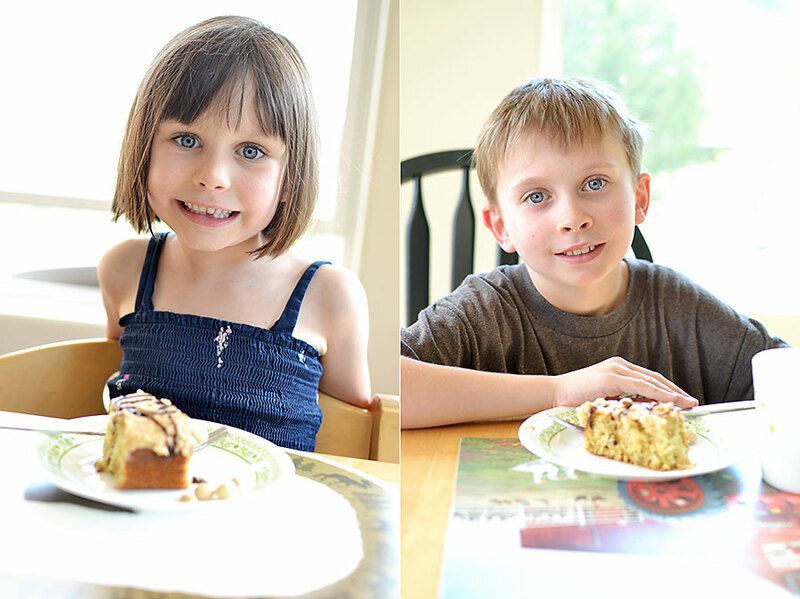 I think my kids love the food part the best of Road Trip USA! Thanks for stopping by again!